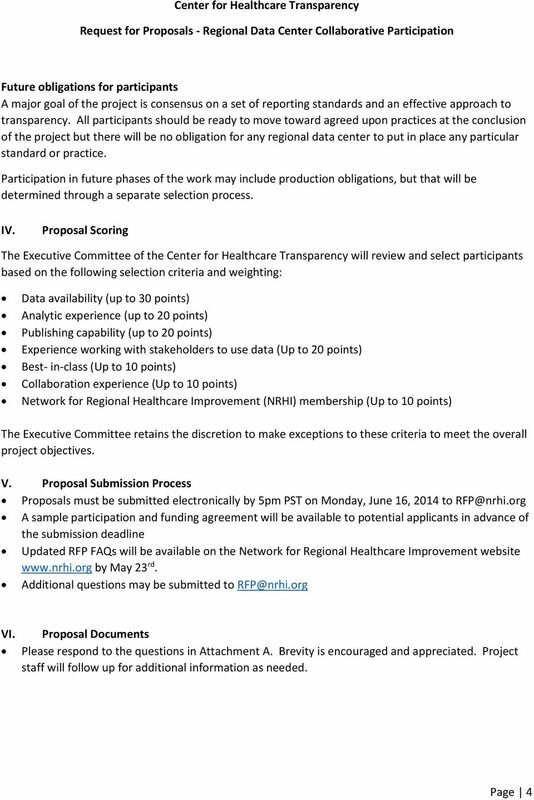 Download "Center for Healthcare Transparency"
1 RFP Contents I. Project Description and Background II. 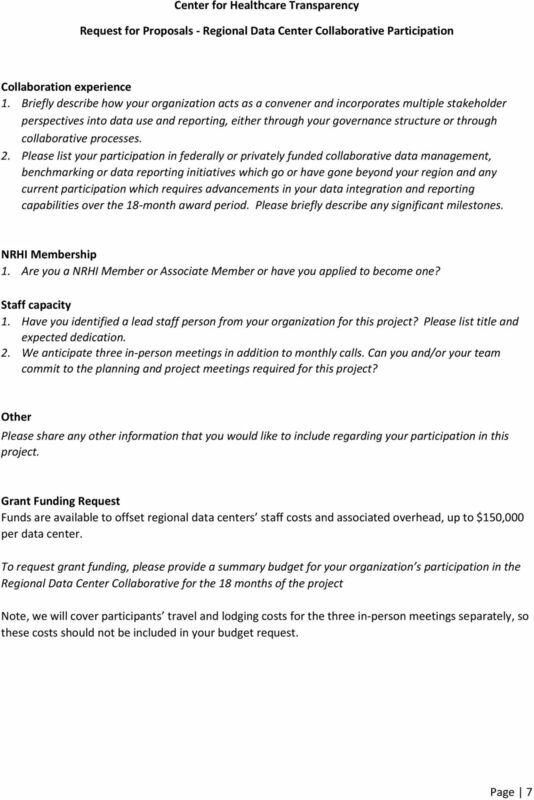 Funding Available III. Proposal Requirements IV. Proposal Scoring V. Proposal Submission Process VI. Proposal Documents I. 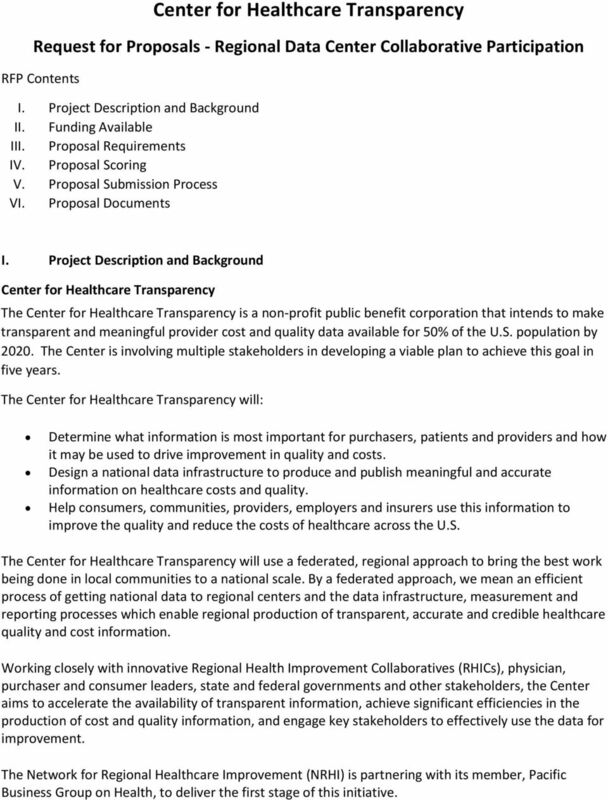 Project Description and Background Center for Healthcare Transparency The Center for Healthcare Transparency is a non-profit public benefit corporation that intends to make transparent and meaningful provider cost and quality data available for 50% of the U.S. population by The Center is involving multiple stakeholders in developing a viable plan to achieve this goal in five years. 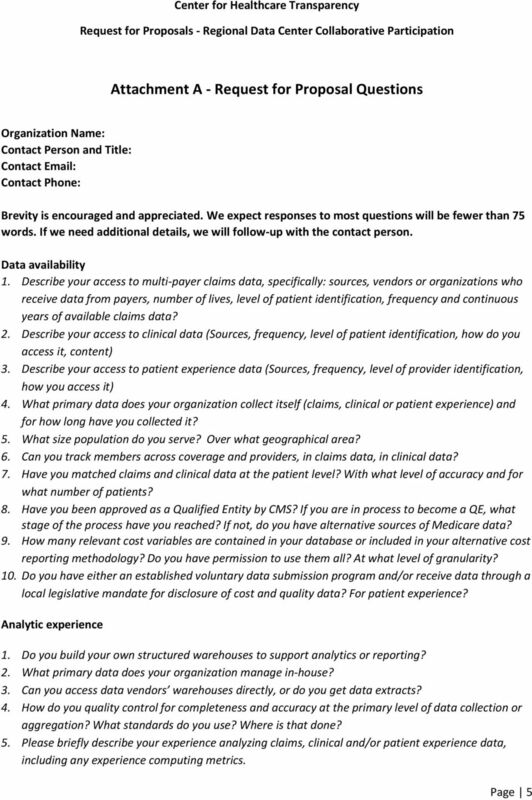 The Center for Healthcare Transparency will: Determine what information is most important for purchasers, patients and providers and how it may be used to drive improvement in quality and costs. 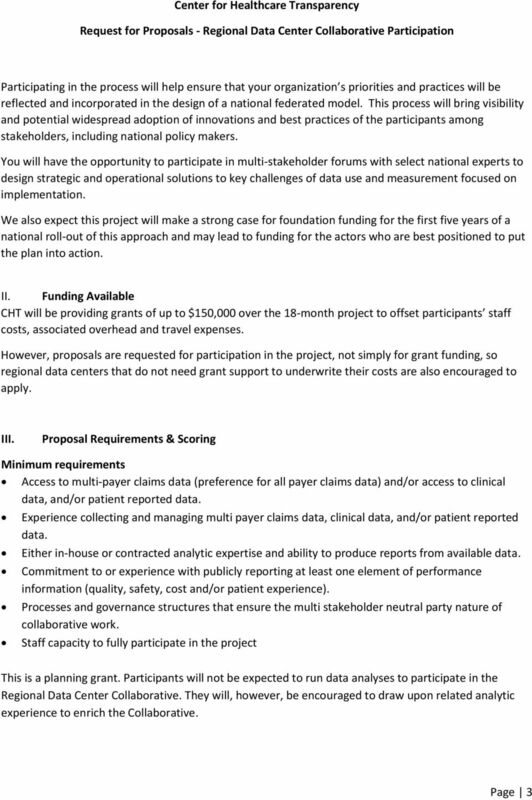 Design a national data infrastructure to produce and publish meaningful and accurate information on healthcare costs and quality. Help consumers, communities, providers, employers and insurers use this information to improve the quality and reduce the costs of healthcare across the U.S. The Center for Healthcare Transparency will use a federated, regional approach to bring the best work being done in local communities to a national scale. By a federated approach, we mean an efficient process of getting national data to regional centers and the data infrastructure, measurement and reporting processes which enable regional production of transparent, accurate and credible healthcare quality and cost information. 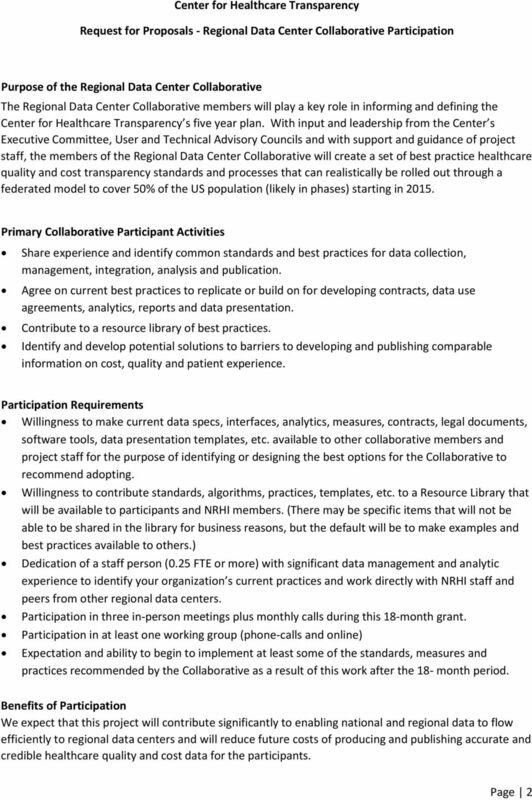 Working closely with innovative Regional Health Improvement Collaboratives (RHICs), physician, purchaser and consumer leaders, state and federal governments and other stakeholders, the Center aims to accelerate the availability of transparent information, achieve significant efficiencies in the production of cost and quality information, and engage key stakeholders to effectively use the data for improvement. The Network for Regional Healthcare Improvement (NRHI) is partnering with its member, Pacific Business Group on Health, to deliver the first stage of this initiative. Appendix K. What scope of work is to be included in the Estimated Hourly Rate? 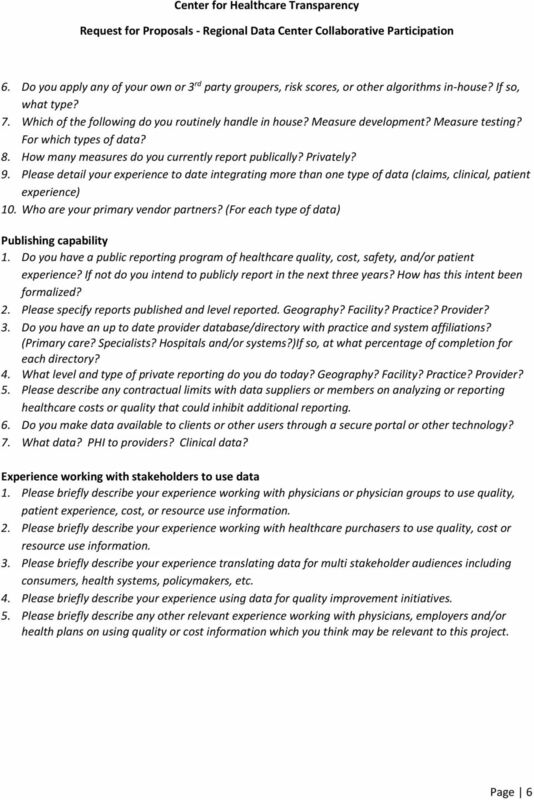 RE: Comments on Discussion Draft Ensuring Interoperability of Qualified Electronic Health Records. April 8, 2015 The Honorable Michael Burgess, MD 2336 Rayburn House Office Building Washington, DC 20515 RE: Comments on Discussion Draft Ensuring Interoperability of Qualified Electronic Health Records.